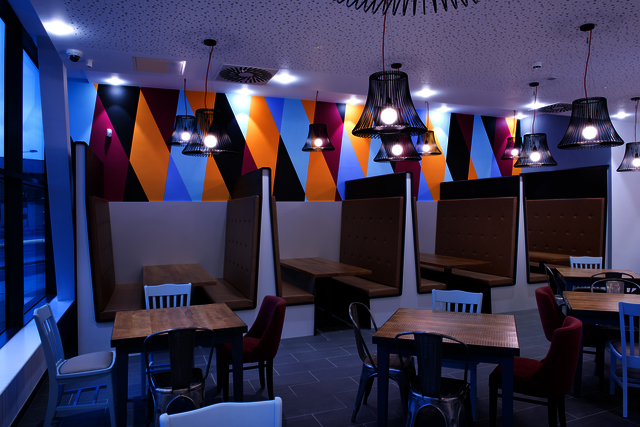 Salsa 2 is a wall painting commissioned for the cafe area of the new Centre of Enterprise and Innovation / Hope StreetXchange in Sunderland. The mural covers the entire back wall of the cafe space on the ground floor and it's pattern is a response to the geometry of the architecture. 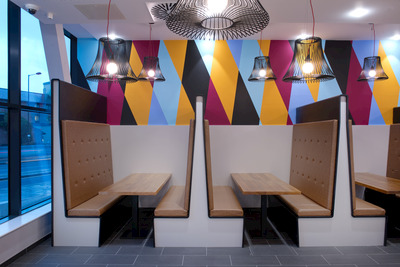 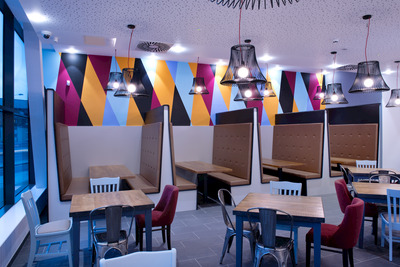 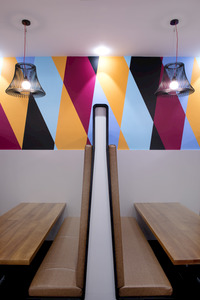 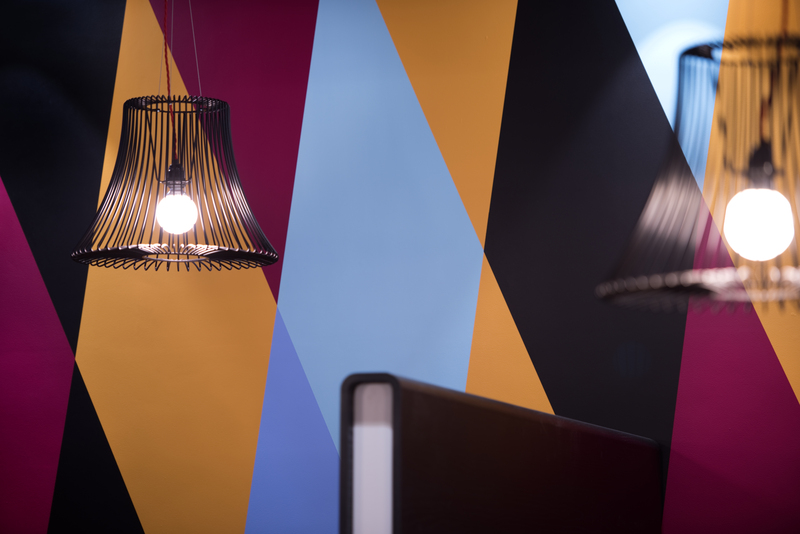 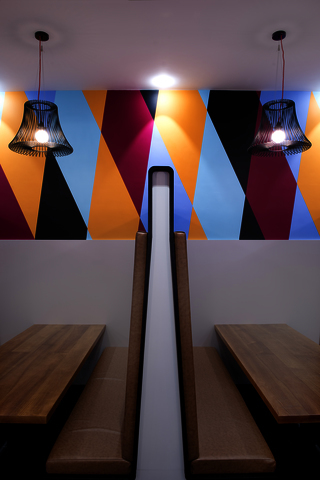 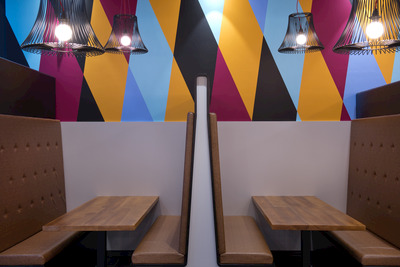 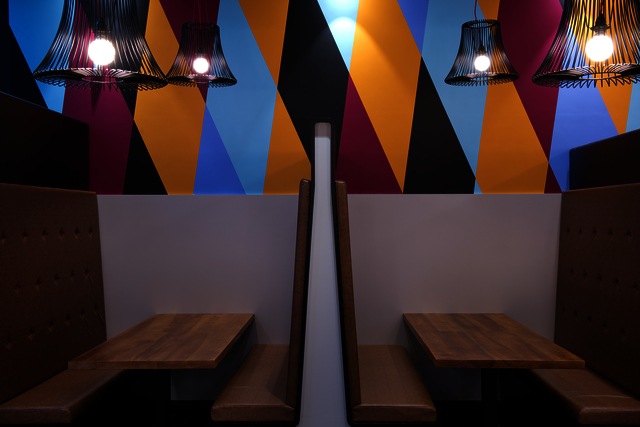 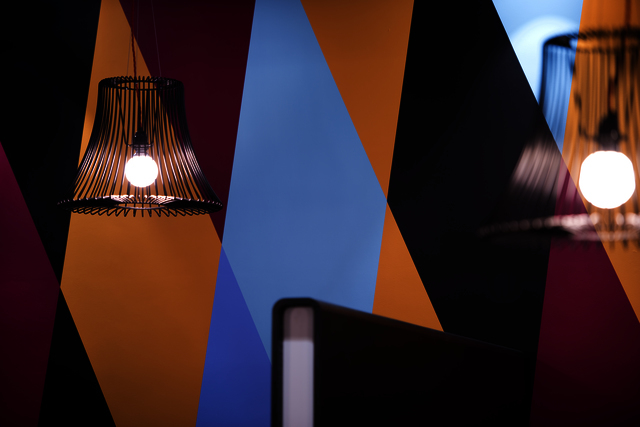 The chosen colours aim to highlight the vibrancy of the space.